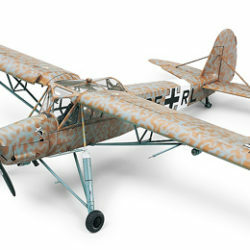 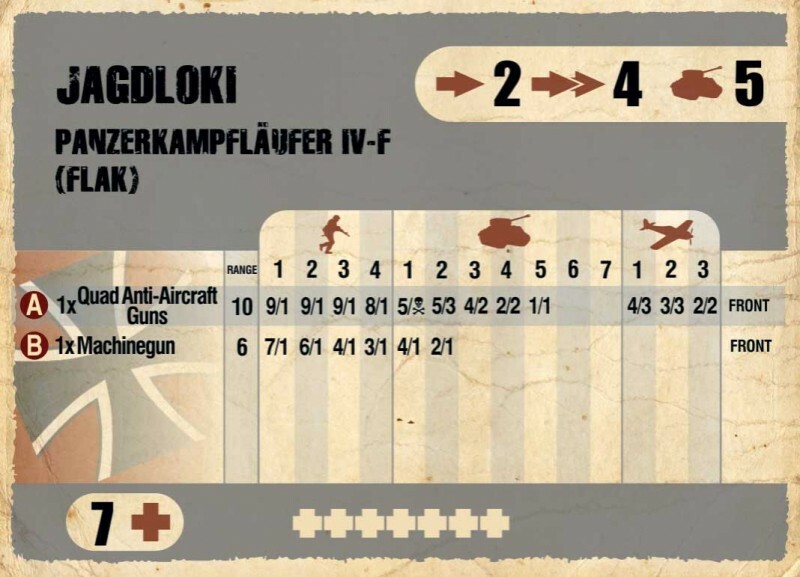 Even though it has some of the most modern planes on the planet, the Axis has learned the hard way that sheer weight of numbers will usually grant the air forces of the Allies and SSU air superiority. 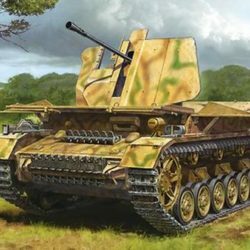 Light chassis of the original Leopold AA walker proved insufficient in more dangerous battlefields. Hence Axis engineers decided to retrofit the basic Jagdluther chasis with anti aircraft weaponry – this is how Jagdleopold/JagdLoki/SturmLeopold was born. 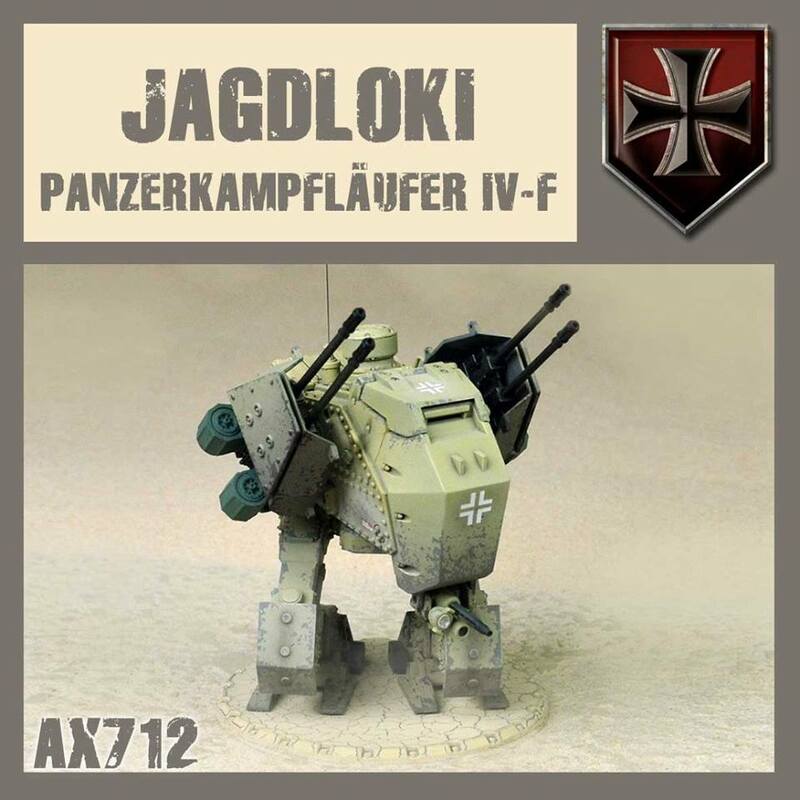 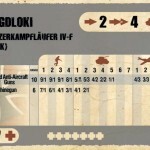 The PanzerKampfLäufer IV-F “JagdLoki” is the latest Flak (anti-aircraft) walker in service in the Axis army. 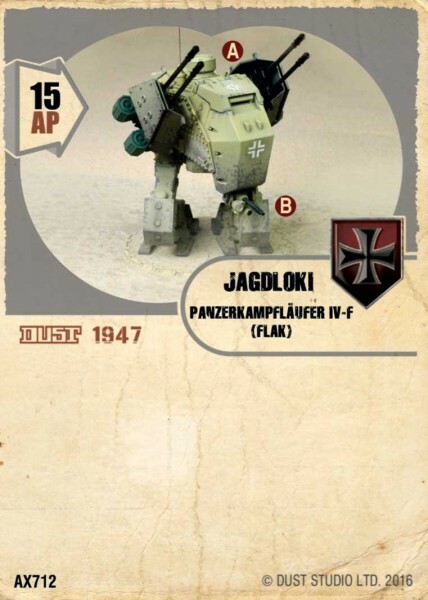 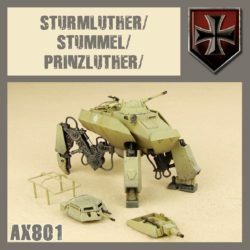 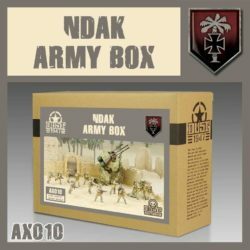 The very first vehicles are currently being field tested by the Neue Deutsche Afrikakorps Panzer units. 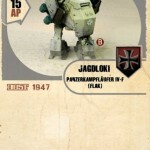 Should these tests be successful (and they seem to be) the “JagdLoki” might soon be found all over the planet. 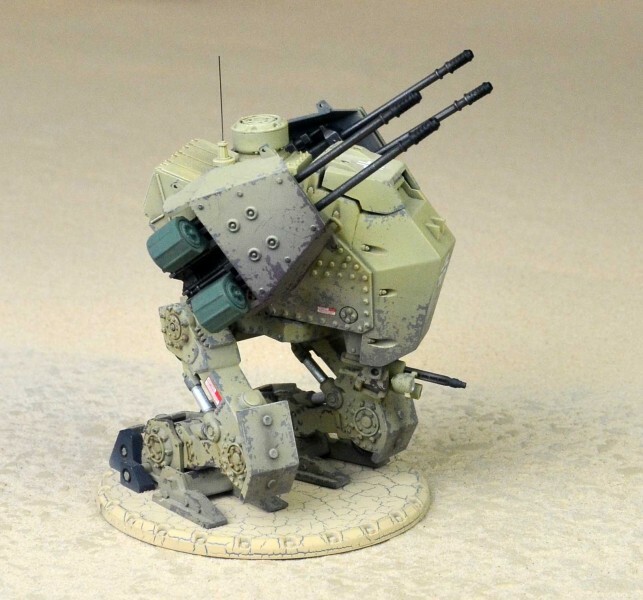 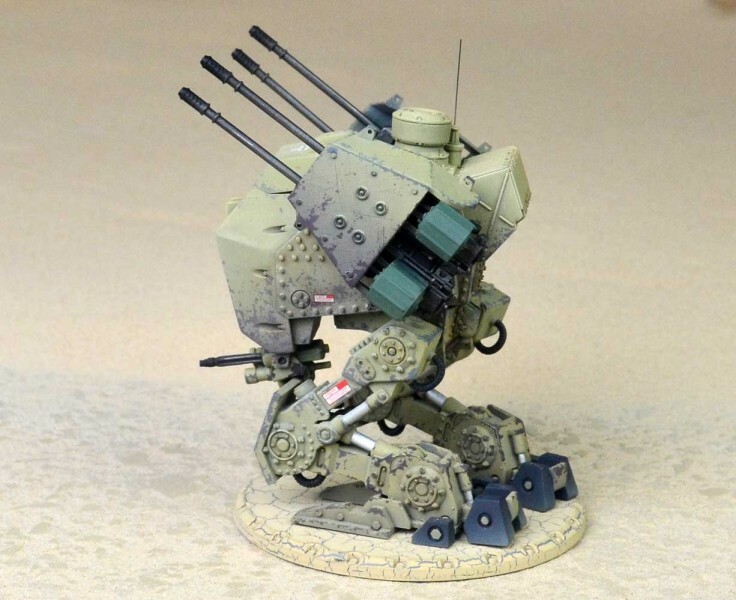 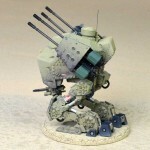 Mounting four 3,7 cm guns this walker can send a hail of explosive shells in the air, literally shredding any airplane to pieces. 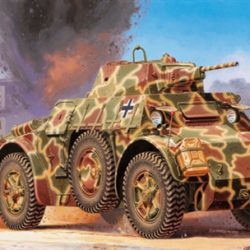 The vehicle is presented here in its Babylon pattern camouflage, as observed around Mesopotamia circa 1947. 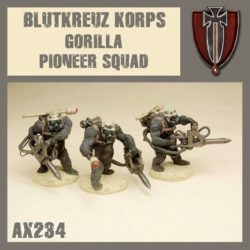 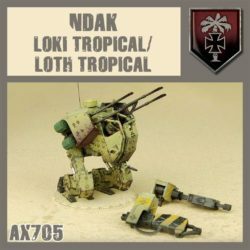 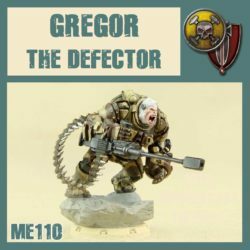 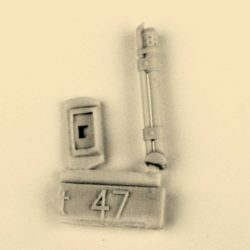 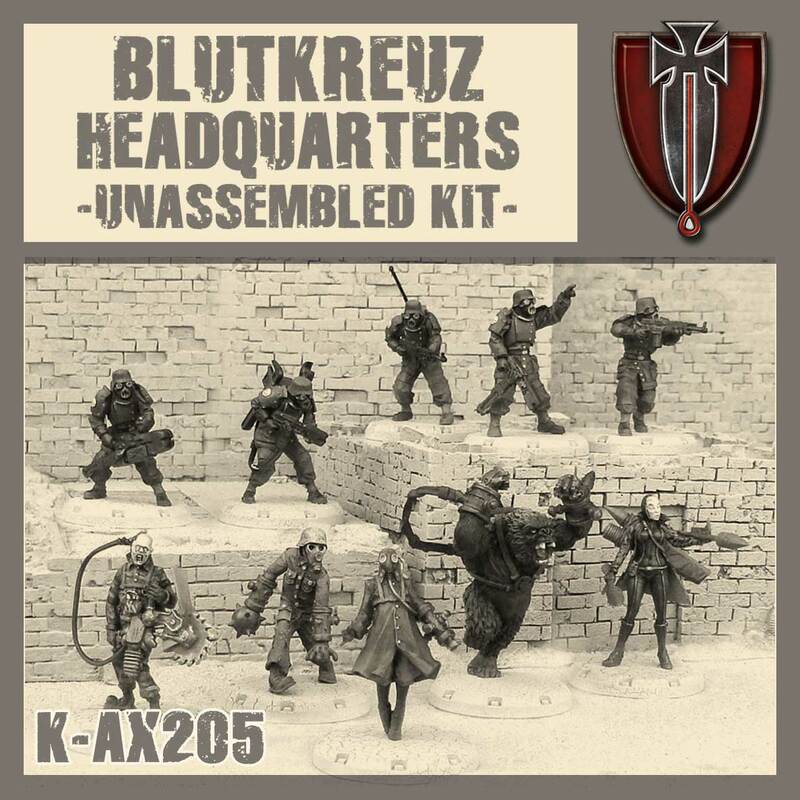 This miniature come with its unit card, to use with Dust Tactics and Dust Tactics Battlefield rules.